Welcome to Christopher Nolen & Associates – your home for quality home inspections in Southeast Louisiana. 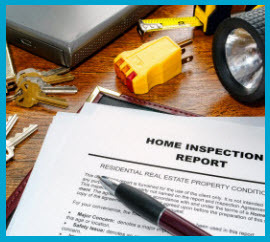 We specialize in large and small home inspections and offer all phases of inspection including roofs, drainage, foundations, mechanical, electrical, decks, wood destroying insect reports, mold, air quality and much more. 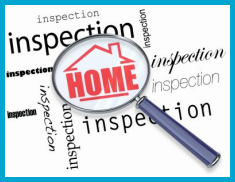 Our website is a place to gather valuable information and learn more about the importance of inspecting a property, whether prior to purchase or for maintenance purposes. Rely on us whether you are a first time homebuyer, are buying a foreclosure property, or need a maintenance inspection on a property you already own. We serve the Southeast Louisiana area that encompasses a 125 mile radius of New Orleans. We work around your schedule and next day appointments are available for your convenience. We even offer evening and weekend appointments too. Call us to schedule your convenient appointment today! 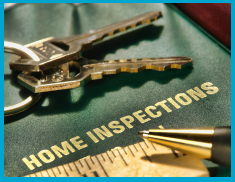 We provide home buyers, investors and home owners with the leading Southeast Louisiana home inspection services. Purchasing real estate is one of the most important decisions you will ever make and you need to rely on an inspection service that understands the significance of your investment, and will work with you to uncover the details of your property. Our goal is to provide a straightforward, no-nonsense approach that presents you with a detailed and efficient analysis, in depth reports, and clear information detailing your new home that you can understand and utilize to make your purchasing decisions. Rely on our unbiased methods, dedication and honesty. You will not only get the facts you need to feel confident about your purchase decision, but you will also receive useful and practical information outlining how to care for and protect your investment. 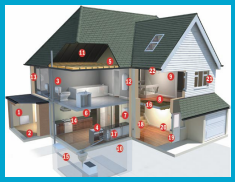 It is also important to have a professional examine your home regularly to make sure all systems are working optimally and identify what problems, if any, need to be addressed early. Whether you are buying, selling or just want to detect any potential problems before they become disasters, Christopher Nolen & Associates LLC are here to help! 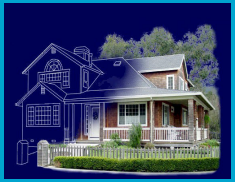 When you need only the most reliable team of licensed, insured and certified Southeast Louisiana home inspectors, contact Christopher Nolen & Associates. Louisiana State Board of Home Inspectors License Number# 10754. We are also a Certified Mold Inspector and Indoor Air Quality Specialist. Their level of expertise is second to none and I have been impressed time after time, by their attention to detail and how thorough they are. The property home inspectors aren't just good at what they do - they're really personable and friendly too.